Many people would love to make a backup of the data of their iPhone/iPad on the computer and keep them safe. IOTransfer 3 can perform cool functions like file manager, data transfer and backup of your iPhone/iPad/iPod devices. So, what is the perfect software for your iPhone transfer? Here, let’s talk about one iPhone transfer software – IOTransfer 3, at the end of the review, you can decide if it deserves a slot on your device. It seems incredible? Next, find out why we believe IOTransfer 3 is the best file transfer software for iDevices on computers. 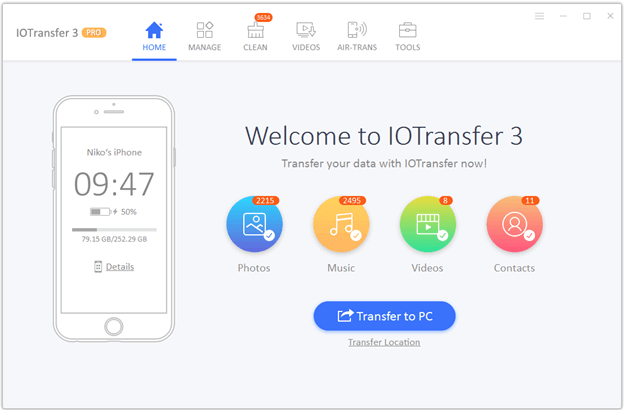 IOTransfer 3 can easily transfer all photos, videos, music, contacts from iPhone/ iPad to PC for backup with one click. No need to worry about losing data with it. IOTransfer is a user-friendly iPhone and iPad manager to manage your photos, music, videos, books, contacts, podcasts, voice memos and app. You can import photos, contacts and much more files from computer to iPhone, export and bulk delete some files to save space. This is one of the popular software to download free videos on iPhone that will download videos from all the sites where the videos are shared. 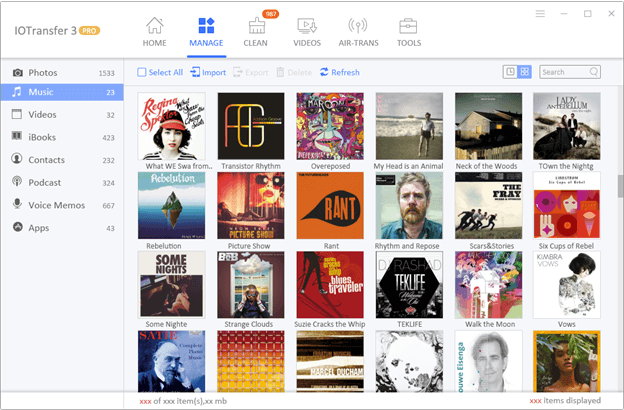 As a free online video downloader, you can use this software to download videos on any iOS device such as iPhone or iPad. With the help IOTransfer 3, you can download all types of videos from the internet and convert them to compatible with your iOS devices. 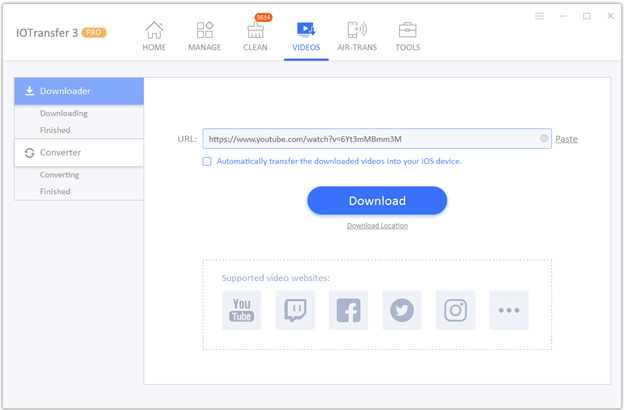 IOTransfer is a reliable YouTube video downloader, and you can download your favorite YouTube videos to your iPhone and watch them at any time. Gifs are everywhere these days. Whether to illustrate your point of view or to show you that good time on your favorite stars and these Gifs are saved directly to your phone for you to share them on your favorite social media platforms such as Facebook, Twitter, Instagram, Snapchat, Whatsapp status, and YouTube among others. There will surely be a point when you want to create or find a Gif. 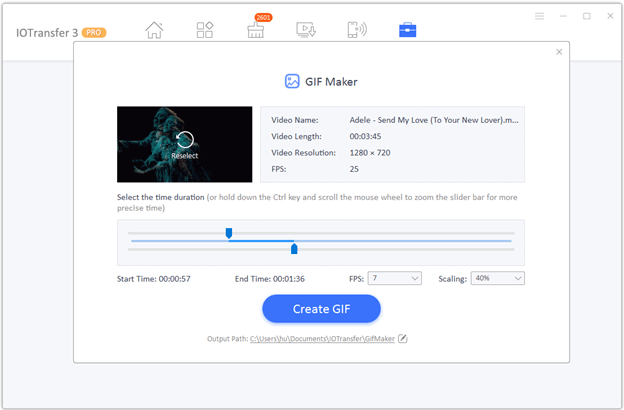 With IOTransfer 3 free online gif maker, you can create your animated GIFs from online links or your content.